Please note the IPAD model 1200 is no longer available for new sales or software upgrades beyond version 4.0. The information here is provided as a reference for those who already own an IPAD 1200 and wish to resell it. Please contact the IPAD Owners Association, Inc. for model upgrade information. The IPAD 1200 is a secure instant, plug-and-play LAN-to-Internet connection device that provides essential core Internet services through a single public IP address. For home and entry level business needs, the IPAD 1200 is the perfect solution. The IPAD 1200 provides an ICSA certified firewall and full Internet service for up to 250 workstations. You only need one public Internet IP address to allow everyone on your LAN to access the Internet at the same time without conflict, without special software, and without any special settings. Plus it provides effective spam filtering abilities, a web server, FTP server, and up to two dial-in ports for remote users. Your choice of integrated 56K modem, ISDN adapter, leased line interface, or Ethernet adapter allows you to choose the type of Internet access line for speed and/or quick installation. IOA's True IP Address Expansion™ technology allows up to 250 users on your LAN to transparently use a single IP address without loss of capability. The fully automatic True IP Address Expansion™ firewall prevents attacks from outsiders yet is flexible enough to allow you to define access to Internet servers on your LAN. Full essential server suite includes email with spam filtering, WWW, FTP, and DNS. You control these services the way you want to! Up to two dial-in ports allows your employees to connect to the Internet through the IPAD 1200 using standard analog modems and/or ISDN adapters. If you want to be on the Internet today, you won't get there any sooner than with a 56k analog modem. You probably have a phone line that can be loaned or dedicated to the connection and your local dialup Internet service provider can set up an account for you often within the hour. Using the IPAD 1200's web manager, you enter your provider's phone number and your account user name and password. Before you know it, your whole office is on the Internet! IOA uses only the highest quality modem in the IPAD 1200 - the 3COM (formerly US Robotics) Couriers. These modems have a proven track record for reliability and can connect to the widest range of modems at the ISP side. All Couriers shipped in the IPAD 1200 are X2 capable, so you can connect to your provider with 56K speeds. The biggest advantage to a modem connection is that it's quick to setup. The biggest disadvantage is that your connection speed can vary with phone line conditions. IMPORTANT: When purchasing a dial-up account from your Internet service provider, make sure that you buy service with a static IP address if at all possible. This means that you'll always get the same IP address when you connect which is important in order for services (such as direct email) to work properly. If your ISP does not offer static IP addresses, the IPAD 1200 has two ways to retain that control with a small loss in spam filtering ability. An ISDN connection provides up to a 128K connection to your provider. You'll simply need an ISDN line and an account at your ISP. Using the IPAD 1200's web manager, you enter your provider's phone number and your user name and password. You'll be on the Internet at a brisk 64k or even 128K (with two B channels)! IOA uses the 3COM (formerly US Robotics) I-Modem. These devices can connect to both ISDN adapters and analog modems at the ISP side of the phone line. All I-Modems shipped in the IPAD 1200 are capable of bonding B channels at 128 Kbps with your provider, more than twice the speed of a 56k modem! The biggest advantage to an ISDN adapter is the bonded 128K speed which is normally associated with a fractional T1 leased line. Some disadvantages include the time it takes for your telephone company to install an ISDN line and it is not even available in all areas. An ISDN line is also usually somewhat more expensive than a standard telephone line. IMPORTANT: When purchasing an ISDN account from your Internet service provider, make sure that you buy service with a static IP address if at all possible. This means that you'll always get the same IP address when you call which is important in order for services (such as email) to work properly. If your ISP does not offer static IP addresses, the IPAD 1200 has two ways to retain that control with a small loss in spam filtering ability. A leased line connection allows you to connect to your ISP using the PPP or Frame Relay protocols. You'll simply need to specify the PPP or Frame Relay encapsulation using the IPAD 1200's web manager and you're running! The IPAD 1200 uses a synchronous interface that includes an internal 56K CSU/DSU for a standard DS0 line. Simply connect the RJ-45 cable from the wall and you're set! For fractional and full T1 (1.54 MB) speeds, you can attach an external CSU/DSU to the V.35 interface cable provided. The biggest advantage to a leased line is a fixed speed between you and your provider. Unlike a modem, the leased line is guaranteed to operate at that speed. A fractional to full T1 can provide up to 1.54MB of bandwidth, much, much more than a modem or ISDN line. An Ethernet adapter allows you to connect to DSL or to separate your LAN from an existing Ethernet LAN while enjoying the same bandwidth benefits. The IPAD 1200 uses a 10Mb Ethernet adapter that connects to your existing LAN or DSL modem using a standard 10baseT connection. The biggest advantage to an Ethernet feed is if you have a Cable Modem, DSL line or an existing local area network. This provides a maximum speed of up to 10 Mb of performance. IP addresses are the telephone numbers that computers on the Internet use to call to each other. With so many computers on the Internet, there are potential problems with the limited number of IP addresses and the growing demand for more connections. All of this goes away with IOA's True IP Address Expansion™ firewall. True IP Address Expansion™ works by taking a single public Internet IP address and multiplying it into private IP addresses that machines on your LAN can use without any special settings. Want to add a new machine to your LAN? Simply plug it in. There's no need to worry if you have enough address space and there's no one to tell. Unlike other firewall technologies, IOA's True IP Address Expansion™ works with a wide variety of typically firewall unfriendly applications, such as CU-SeeMe, RealAudio, RealVideo, VDOnet Live, Internet Phone, VOIP, and many more. And there is virtually no speed degradation - you can use all of the bandwidth you pay for! True IP Address Expansion™ makes configuring LAN workstations quick and easy. The automatic DHCP server configures your LAN workstations with their proper IP address, netmask, DNS server, and so on. There's no need for you to worry about it or manage it. One of the most difficult tasks of establishing an Internet presence is making sure that information that needs to stay in the office really does stay in the office and information that should get out can get out. The IPAD 1200 makes this easy for you. All machines on your LAN are fully protected by an ICSA certified firewall and hackers can't reach you. Your users can get out but no one can get in. This is based on an operating system (IPAD-OS) that has proven to be hacker proof which makes the IPAD the absolute best protection at any price. However, for specialized services you may wish to establish a Passthru. This is a hole that you can make in the firewall to allow access to only a single service on a specific local machine. Need a streaming audio or video server? Install it on an internal server on your LAN and tell the IPAD 1200 to let connections for that service through the firewall. As far as the Internet is concerned, all traffic goes to and from the IP address used by the IPAD 1200. Electronic mail is one of the most popular services on the Internet. The ability to communicate with colleagues, customers, friends, and relatives cannot be underestimated. But the proliferation of spam (unwanted commercial email) is threatening to clog our mailboxes every day. The IPAD 1200 helps to fight spam with a validation called Domain Name Server Black Lists (DNSBL). There are many public and private DNSBL services available which you may use to set your own personal spam fighting policy. You can even use the IPAD 1200 to create your own DNSBL if desired. This combined with the many automatic spam detection methods built into the IPAD 1200 will give you a much more pleasant and useful email experience. With the IPAD 1200 you can create mailboxes for your users. They'll use any standard email client like Thunderbird, Outlook, Eudora or perhaps a client in a web browser to read and send email. You can even create aliases for mailboxes that allow different addresses to go to the same mailbox. The IPAD 1200's email server also includes several important features. You can create mailing lists to allow communication with large groups of people. Auto responders, forwarders, and other features give you a rich variety of email functionality and control. Your organization may have several uses for emailing groups of people. Perhaps you would like to send announcements to your customers or colleagues. Or maybe the members of a department are not in close proximity and need to stay in touch. Mailing lists allow you to define topical email discussion groups. 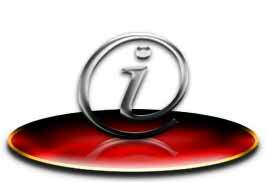 Participants simply need to send email to a single address and everyone who belongs on the list will see the message. You can also create moderated mailing lists with single or multiple moderators. There are many cases where having a human respond to email is either not desirable or not possible. For example, if someone wants to receive information about your company's address, phone number, and so on, it doesn't make sense for someone to spend the time to retype the same information over and over again, or even copy it from a file. The IPAD 1200's auto responders allow you to define an email address, such as info@example.com that will automatically return an email message containing information you define. You can optionally specify that responders pass the message through to another destination. For example, if an employee goes on vacation, a pass through auto responder would automatically send a message back to the sender yet retaining the sender's message for its intended recipient. In some situations, you may wish email to be re-directed to a different destination. For example, email to old employee addresses can be sent to the boss instead. The IPAD 1200 allows you to create email forwarders for this situation. At no time does any manual intervention need to occur. The IPAD 1200 is unique in that it can connect to another POP3 email server and pick up mail for your local users. This uses your choice of two different technologies; Multidrop or Mirrored. It is most useful on slower connections where multiple users connecting to the ISP to check for mail can cause a bandwidth bottleneck. The IPAD 1200 is even smart enough to change how often it checks for new mail based on how often the local users check for mail so mail feels fast when you need it to be, but does not overload the ISP or your connection. Copies. The IPAD 1200 can automatically make copies of email messages. For example, you might wish the sales team to receive all messages destined for sales@example.com or need to comply with SEC auditing requirements. Rejects. You may reject messages based on the SMTP source and destination addresses. Spam Honey Pot. The IPAD 1200 can have multiple special email addresses which can track unwanted activity (i.e. spam, phishing). If the activity gets too much, the IPAD 1200 will passively make a lot more work for the source. The world wide web is one of the reasons why people want to connect to the Internet. Using a multimedia presentation of graphics, text, video, and sound, people can easily point and click their way around the Internet. The IPAD 1200's web server allows you to fully publish virtually any content onto the Internet. While it does not allow you to run customized programs through CGI interfaces, several popular canned CGI programs are included, such as forms processing and page counters. All traffic can even be recorded in the CERN common logging format so any popular web log processing utility can be used to analyze traffic. Sooner or later, you'll probably want to ask your web users for information. It might be an elaborate survey, an order form or a simple poll. No matter what you need, the IPAD 1200's form processing will get the data in your hands. You design the HTML documents that define how the form is displayed to the user and the IPAD 1200 processes the data. You can specify that data be saved to a file in a variety of formats, such as comma-delimited, or emailed to you. You can also optionally send an email response to the user, to let them know that the system has received their information. A common piece of a web page is a page counter that shows the viewer how many times a page has been received. To the viewer and the author, it can be an indication page popularity and activity. The IPAD 1200 allows you to create page counters for any HTML document you host. You may create as many page counters as you wish and can control how they are displayed. FTP is a very efficient way to transfer files over the Internet. Using anonymous FTP, people can use their web browsers to navigate and download files through the FTP server on the IPAD 1200. You may configure the IPAD 1200's FTP server in a variety of ways, allowing both anonymous and individual user access. You also define a virtual root directory for each user, giving them their own domain of control on the IPAD 1200's file system. DNS is the Internet telephone book. When you want to call someone on the telephone, you look up their name in the phone book and call the listed number. DNS works in the same way, allowing you to reach www.IPADowners.org to connect to a web site, instead of having to remember the machine's IP address (192.168.1.1). With the IPAD 1200, you control your own piece of the phone book, also called an Internet domain. And furthermore, you may operate as many different Internet domain names as you wish. The IPAD 1200 has no restrictions. Your domain name identifies your site with an easy to remember name. You may register your name with any Internet domain registrar you wish or you can contact your authorized IOA reseller to purchase registrar service. Once you've registered your domain name, you can add as many sub-domain names as you like using just your IPAD 1200. For example, the domain names of most web sites begin with a www, such as www.IPADowners.org. Once your LAN is connected, you'll probably want to extend it so that you or your colleagues can call in from home or on the road. Checking email or browsing the web is but a phone call away! The IPAD 1200 includes two dial-up ports that you can connect to either a modem or ISDN adapter. You have full control over who can call up and use the ports and how long they can stay connected. You have the same power and control as an ISP over your own modems.